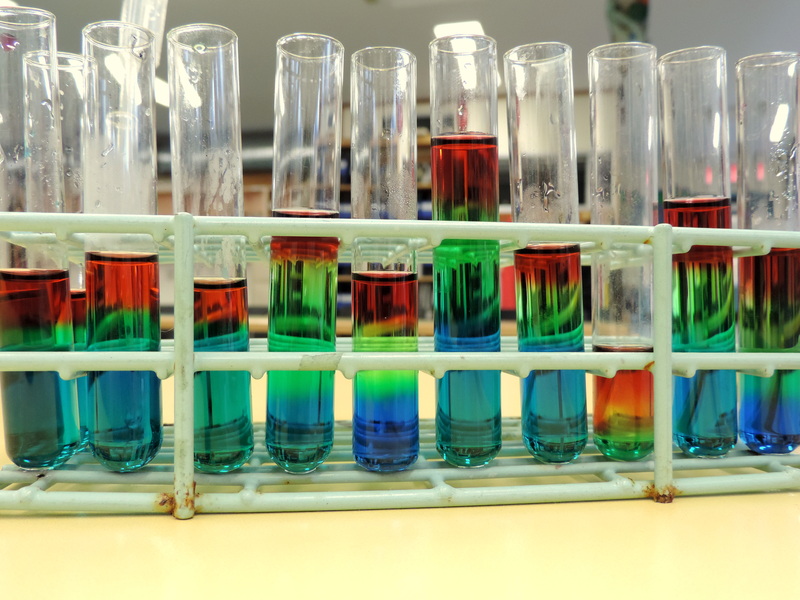 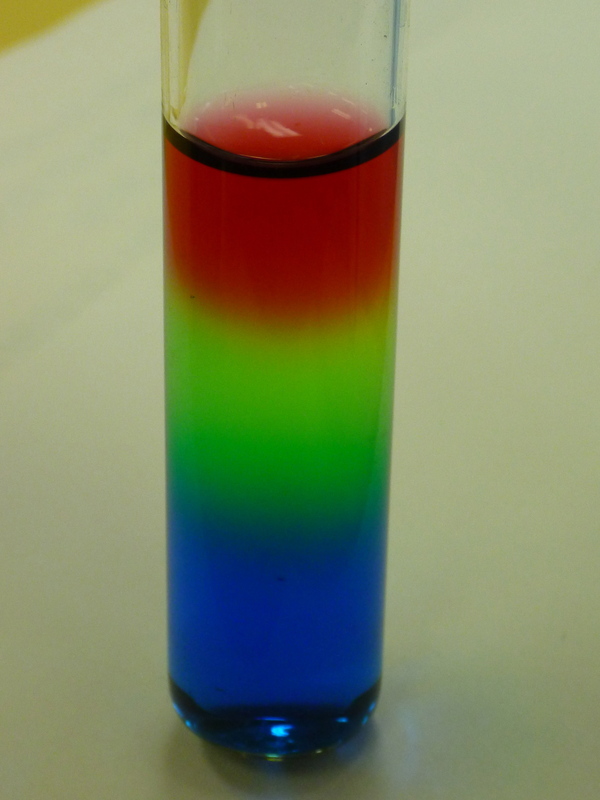 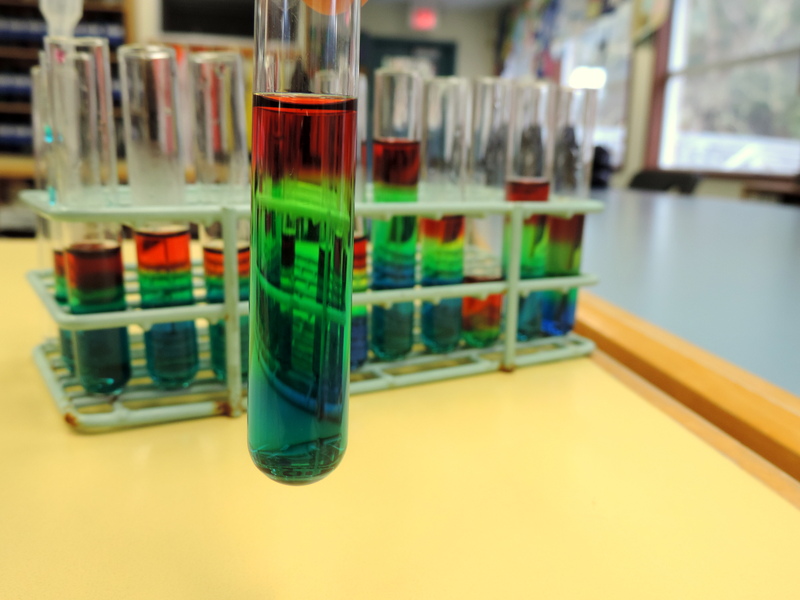 Although it may be a bit tricky to see in all the tubes above, there should be four coloured layers of water – each layer with a different density. 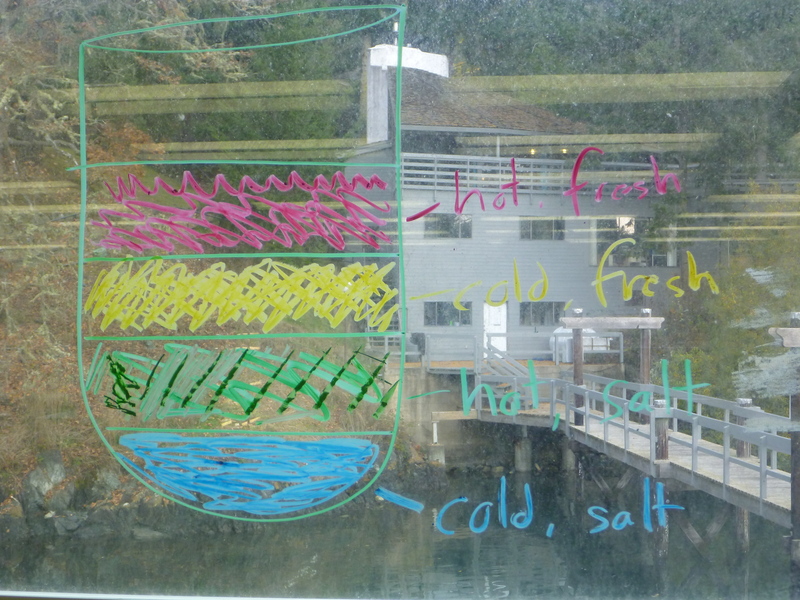 Students were challenged to use coloured water of differing temperature and salinity to make the layers. 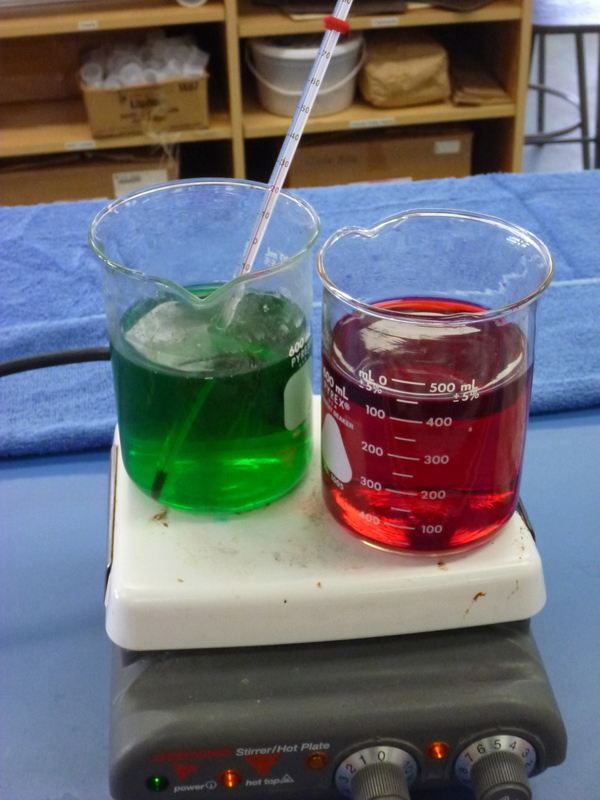 If you look closely, you should see a yellow layer between the red and green layers below. 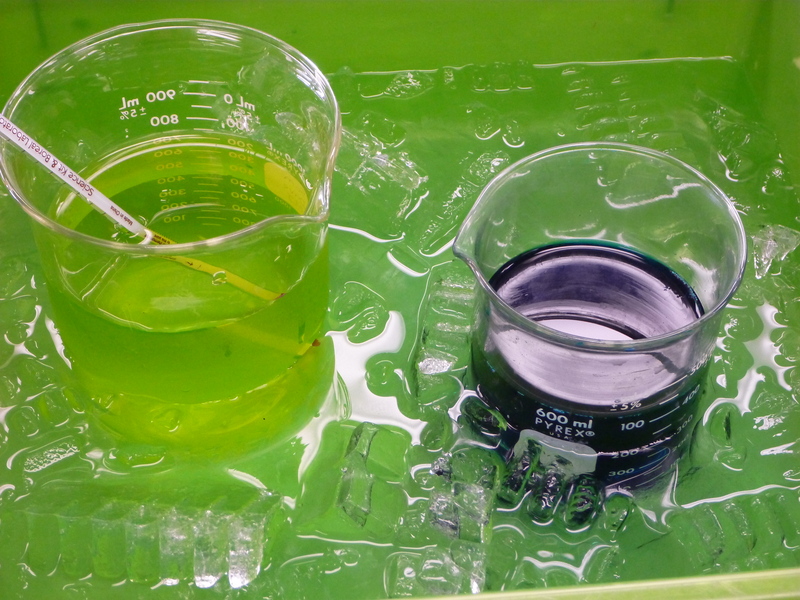 Thanks to Alfredo for the photos!